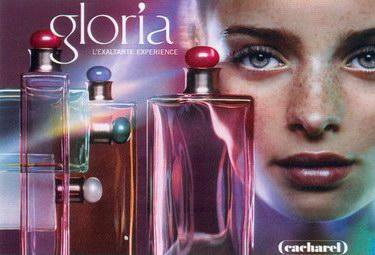 Gloria (Eau de Toilette) is a popular perfume by Cacharel for women and was released in 2002. The scent is sweet-floral. The production was apparently discontinued. I was pretty curious with all the raving about Gloria, plus the notes seem promising. So I grab a mini to give it a try. Now I'm mourning for her immature depature. It opens just like an amaretto then dries down into a creamy mixture of almond, vanilla and amber. The cherry is subtle on me, just a whiff from time to time. It's not the fresh type cherry, but more like gourmand foody cherry. Overall it makes me think of a softened Le Baiser du Dragon without the dry vetiver, a warm cozy scent but still with some edge. The sillage is soft on me and the longevity is at least 6h. If it had not been discontinued and with a reasonable Cacharel price tag, I might actually grab myself a bottle. However, as I don't have particular memories attached to this scent, I don't have the burning desire to spend a fortune on ebay to own a full bottle. Cacharel, when shall you return to Glori-a ? 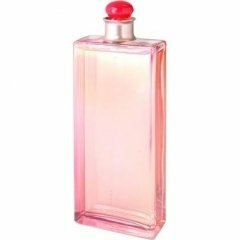 The most successful perfume of the Cacharel house of all time came to be cast into oblivion without explanation for fans.For many years I had hoped it would be a clever marketing movement to relaunch it, or even in another form and name.Discontinued even from collective memory, almost no one even remembers about the gourmand Gloria. I immagine a milk with amaretto liqueur and cherries served on a terrace surrounded by roses on a warm and late June morning. Glass design is austere, just a wave of colored reflections refers to the playful side of the composition. Sweet and spicy, Gloria gives me a sort of sense of positive snobbery (if there is such a thing) a unrepeatable explosive creativity. Gloria is a sweet, adorable young girl..
she has freckles on her face and red curly hair! She likes having fun with friends but she always gets dressed in a sophisticated, elegant way! She never loses her flirtatious smile and always makes her presence noticeable wherever she goes! She enjoys taking long walks through the city during the winter season and though temperature gets really low, she embraces with the most warm and cozy feeling all people around her..